The Tempe Gas Fire Pit is a perfect way to enhance your back yard! It is a beautiful addition to any living space, without compromising your budget. 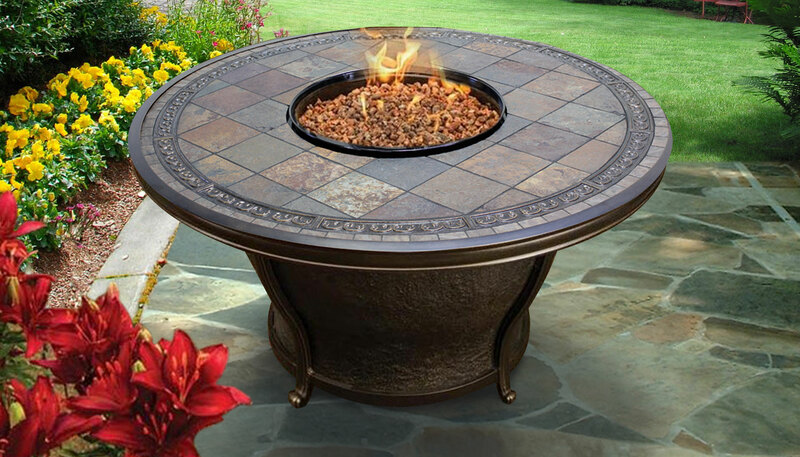 The round shape of this elegant fire pit blends seamlessly with any décor, and it will be a great place for your guests to gather! The Tempe Fire Pit Table produces up to 40,000 btu’s. Hidden Control Panel - High / Medium / Low. Electronic Ignition. Lava rock, glass beads or logs can be purchased separately.